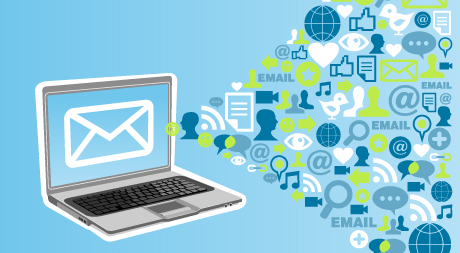 Email Marketing has been around for a while, and more businesses are very interested in finding out what happens when their mass emails are sent to the consumers. The information being collected after sending the email (# of opens, who opened the emails, # of clicks, # of unsubscribers) are all valuable information that make up the post-email analytics. I have used constantcontact, salsalabs, mailchimp, and recently Hubspot email marketing tools and in this short blogpost, I will try to break it down the benefits as well as shortcomings of these tools. I know you might say there might be more other powerful email marketing tools; and perhaps yes; but I believe the before-mentioned four are the industry leading ones. But first, let’s take a look at the purpose of a “mass email”. BusinessDictionary defines email marketing as an attempt to appeal to an entire market with one basic marketing strategy utilizing mass distribution and mass media. So remember those newsletters/flyers that you send to your nearby neighbors to appeal your business? Yeah, you can do that with email. However, you must follow the best practices to make sure your email reaches the targeted market. They should find it appealing, informative, and helpful. So let’s get down to business.. There are many solutions online that provide rich marketing tools to “campaigns” that can be sent to a large # of people. Majority if not all these tools want to make money, and in order to do that, they have levels of subscription. So who are the leaders in this business? and what do they provide? ConstantContact – most advertised – most annoying – ConstantContact always advertise their “free trial” on radio, tv, and web. Others do advertise their services, but not as much. Mailchimp – Great friendly simple design – packages limited to number of subscribers though. Hubspot (not ranked) – Hubspot is mostly focused on web templates, and have included email as an add-on. They’re more flexible than mailchimp when it comes to templates; however, their design isn’t as simple as Mailchimp. Also according to G2Crowd, Hubspot is great for businesses that want to integrate their sites, marketing tools, with their blogs. They do better in the areas of usability, maintenance and support. Personally, I like Mailchimp’s easy templates with drag and drop functionality. I also like their post email analytics per campaign and overall campaigns. Here is a video explaining the basics of Mailchimp Template, similar to Hubspot Template Designer. Here is also a video I made about the different features of Mailchimp. Thanks for including our Email Marketing Grid in your article, Adel! 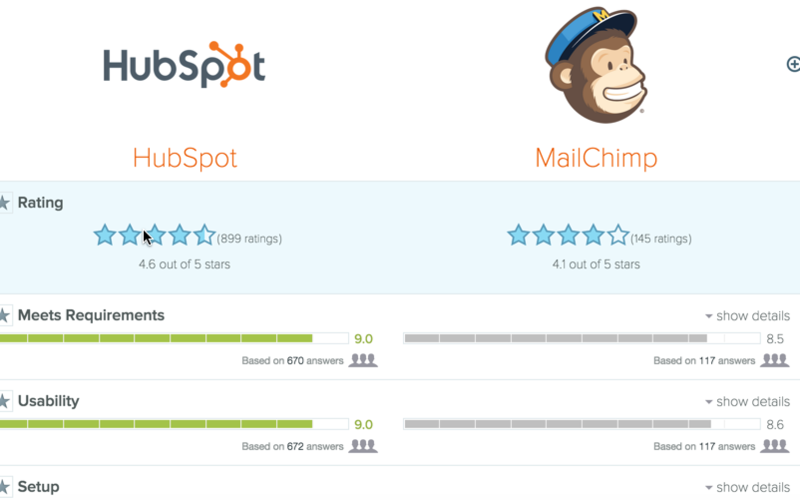 HubSpot was recently featured in our Marketing Automation report. (You can view the real-time Grid here: https://www.g2crowd.com/categories/marketing-automation) That’s why they weren’t included in this report. Hope this helps! Thanks Daniel for stopping by! Great that HubSpot now does automation. Way to go!